This is a blog post I have been wanting to share for a while now and finally found the time. As I begin to travel more, I’ve been making more of an effort to actually document my travels, something I tend to forget to do. Sometimes I think that since I’m on vacation I shouldn’t take photos but I’m trying to break that habit. 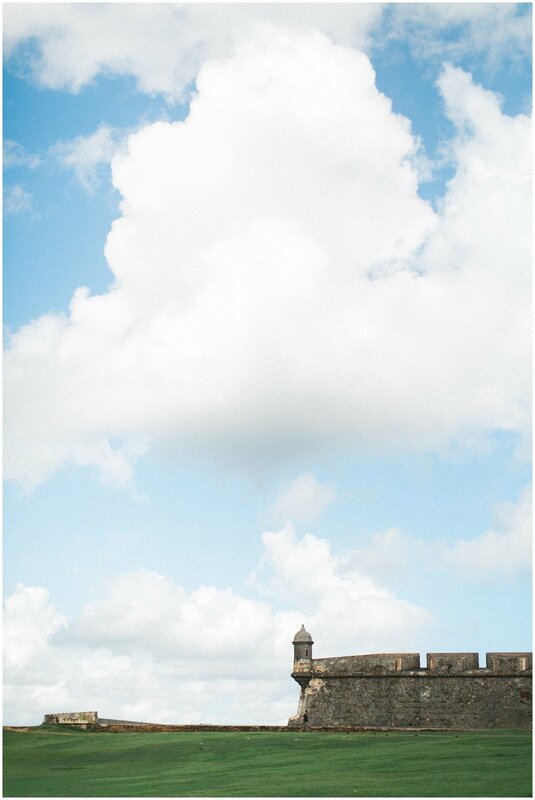 This past September my husband and I celebrated our fifth year wedding anniversary with a trip to Puerto Rico. 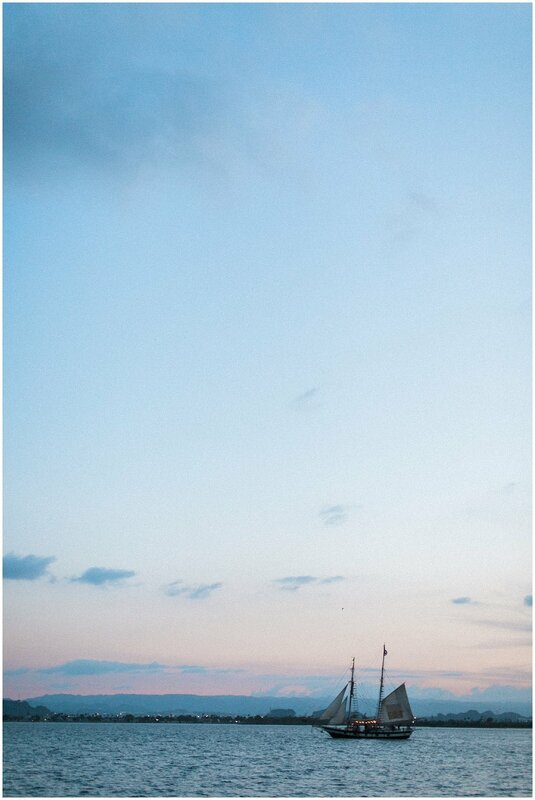 I have always loved the island, and have visited many times. My father comes from Puerto Rico while my mother’s side is Israeli and European (my husband is Filipino, I like to think we are a family of United Nations). This was my husbands first visit to the island and he was convinced that the Philippines was the only place in the world with beautiful sandy beaches and waterfalls…boy was he wrong. Many people had warned us not to take the trip to Puerto Rico because of hurricane season and Hurricane Maria which had hit just a year before, devastating much of the island. But Puerto Ricans are resilient people and although there is still much to be done, we were able to enjoy our stay there regardless. If you’re thinking of taking a vacation but don’t want to go too far, Puerto Rico is a great place! There is so much to do and see and the island relies heavily on tourism, so it’s a great opportunity to go. We spent our first weekend with my family, catching up and going to places only they could take us to, because let’s face it, we’d probably get lost. We took a day trip to Boqueron, somewhere I hadn’t visited since I was 12. There you can buy the islands largest bacalaito which is a very common food made of fried codfish. One of the best things about the island is the food of course. We were able to go to Piñones to get some really delicious alcapurria, another common fried food (lots of fried food here) stuffed with beef or crab. These are of course some of my favorite things to eat while I’m there along with pasteles and tripletas. These are a must if you ever go! (Feel free to google these things, it’s definitely worth it). We did not go to El Yunque because much of the paths in the rainforest were destroyed by the hurricane, but we were able to go to a beautiful hidden waterfall in the mountains of Bayamón. This place was amazing! Our tour guide, Jerry was just as wonderful and not to mention, you are accompanied to the waterfall with four of the cutest funniest dogs I’ve ever met who will literally greet you upon arrival before you can even step out of the van. After the waterfall you’ll build up an appetite so the next stop is at an amazing restaurant where they sell a lot of what I mentioned above and more. You can check out Jerry’s tours here. (I highly recommend!) I didn’t take photos of this but just imagine a beautiful waterfall and a cute chihuahua guiding you through the forest. My favorite place to go while in Puerto Rico is Old San Juan. It is such a beautiful and charming city. We were able to rent an air b&b in old SJ. We spent most of our time anyway and there is also Uber so it’s really easy to get around other parts of SJ. The city itself is over 300 years old and I am always in awe every time I go. I also love history so I like to imagine what the city was like over the centuries when walking through the cobbled streets. 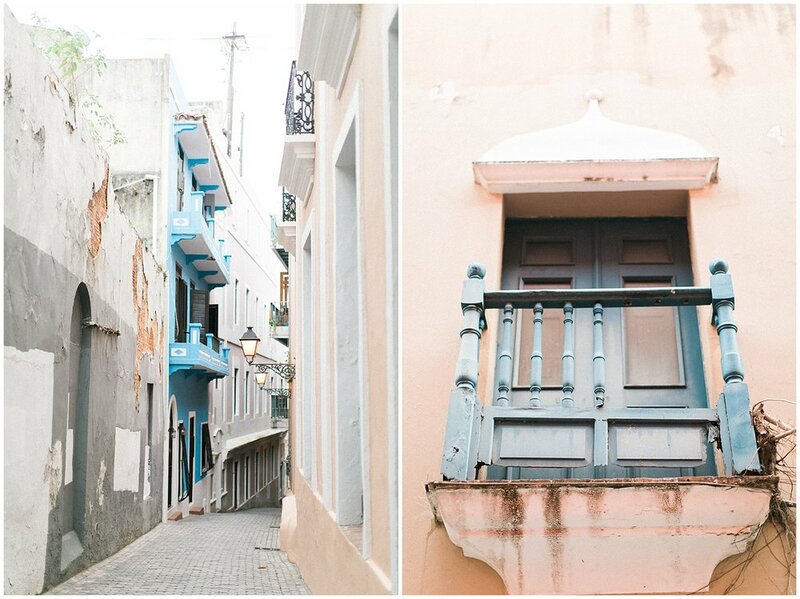 The buildings in old San Juan are so charming and many of them are renovated and painted beautiful bright colors. 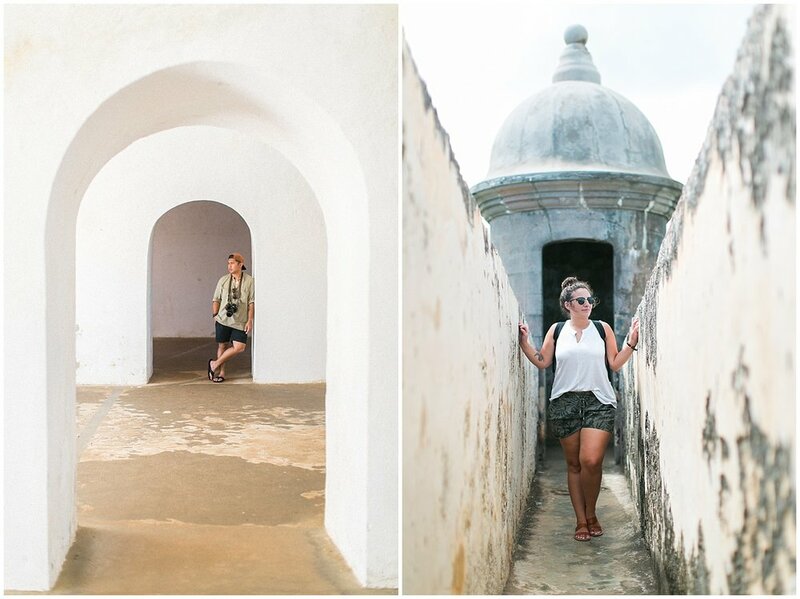 Castillo San Felipe del Morro is probably the biggest tourist attraction in San Juan. It is a 400-year-old fort built by the Spanish when they first arrived at the island, and it overlooks the Atlantic Ocean. It truly is something to visit when you go. Old San Juan is a city that will capture your heart and trust me you will never want to leave because I sure didn’t. The people are so sweet and genuinely just want to share their culture with you! Below are some images my husband and I took during our stay there. Sorry, there are no food photos because I totally forgot to take them. I was way too excited to eat, so for now, you can enjoy bright colorful photos, some cats, and a few photos of me and Mario enjoying the island life. Of course there is so much more that I could share with you all about our trip, but for the sake of this post I will save it for a another time! Thanks for reading, on to my next adventure!